The Navajo War of 1913 Looking back a century after the Uprising at Beautiful Mountain. After the 1890 Wounded Knee Massacre, the so-called end of the Indian Wars, cultural clashes between whites and American Indians still took place. 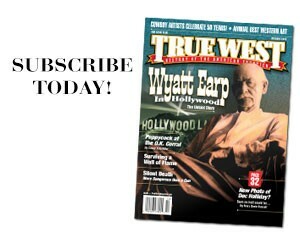 Take a 1913 incident in New Mexico. The Navajos call it the Uprising at Beautiful Mountain. Whites call it the Navajo War of 1913. The event would almost be comical if not for its disregard for human rights. The uprising started innocently enough. Widower Histalí Yázhí decided to remarry. He proposed to a woman, but she refused to accept unless he also married her sister and mother. This Diné tradition ensured the care of the single women in a family. Accounts state Yázhí planned to have marital relations only with his intended. But under U.S. law, of course, marrying three women is polygamy. Angered at this flouting of the law, Superintendent Shelton sent police to arrest Yázhí in early September 1913—but when they got to Beautiful Mountain, they found he had gone hunting. So they hauled the three women off to jail in Shiprock, the agency headquarters. On September 17, father and son led about 10 Diné men on a “raid” of the Shiprock jail (which the tribe called “Shelton’s Hotel,” because it was where Tall Boss incarcerated so many Navajos). They overpowered the guards and took the women back to Beautiful Mountain. Shelton, returning from a fair, was furious and demanded action. Peter Paquette, the superintendent of the overall Navajo reservation (and nominally Shelton’s boss), intervened and met with the Diné, trying to head off a disaster. But Yázhí and the 11 warriors refused to give in. They barricaded themselves at their camp, ready for a fight if necessary. In early November, Shelton called on federal troops to come to his aid. A force of nearly 250 men, under the command of Gen. Hugh Scott, came from Nebraska. By November 23, the Diné were surrounded and outnumbered about 12 to one. The national press played it up as a modern-day Alamo with bloody implications. That was the last result Gen. Scott wanted. He and others met with the Navajo to try to reach a peaceful solution. 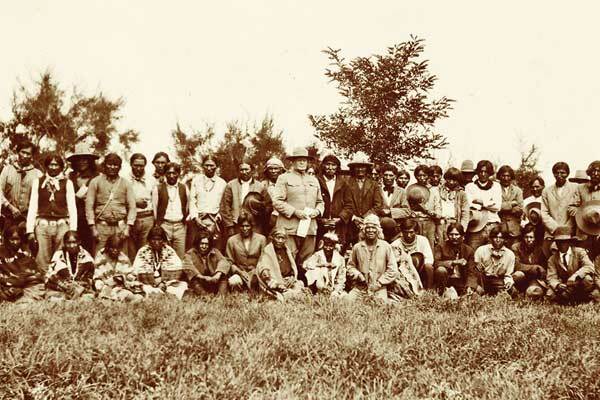 The talks worked; the dozen Diné surrendered on November 27—Thanksgiving Day. 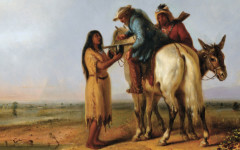 The prisoners were taken to Santa Fe for trial, where the judge lectured them for 30 minutes about obeying the white man’s laws—and then dropped most of the charges. Yázhí and one other were sentenced to 30 days in jail; the rest got 10-day terms for unlawful assembly. After all this, Yázhí probably still ended up living with his three wives, although history does not record it. The 1913 incident is mostly forgotten in the white world. The Diné remember it. The clash of cultures continues. 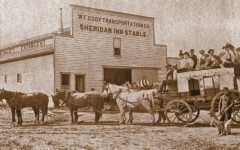 What Were Frontier Livery Stables Like?